What is Mouse DPI and Polling Rate? 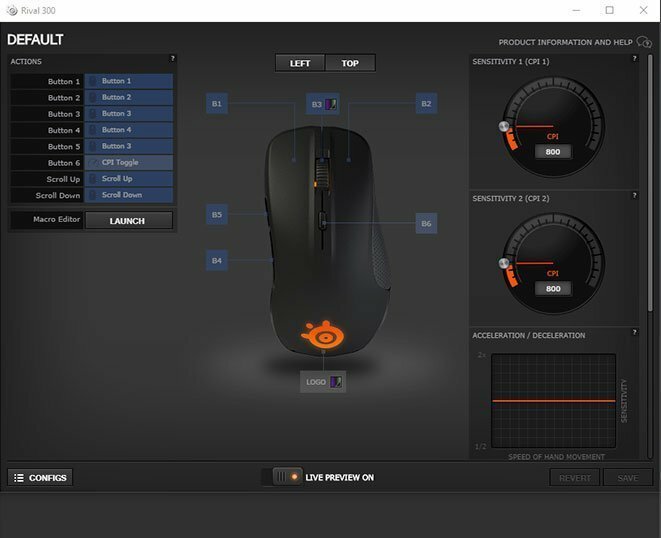 How does a gaming mice work? DPI means Dots Per Inch. E.g., if a gaming mouse is set to 800 DPI, it means that if you move your mouse 1 inch (2.54 cm), the mouse cursor will move 800 px on your screen. The more DPI usually results in less accurate movements, but with high speed. Polling Rate means how often the mouse is communicating its position to the computer. Polling Rate is measured in Hz. E.g., if a gaming mouse has 1000 Hz Polling Rate, it will report its position 1000 times every second. Having high Poling rate is good for gaming, but when you come up at around 500 Hz and upwards, the rise is barely noticeable for the user. Usually, do competitive gamers use relatively low DPI and high Polling Rate. 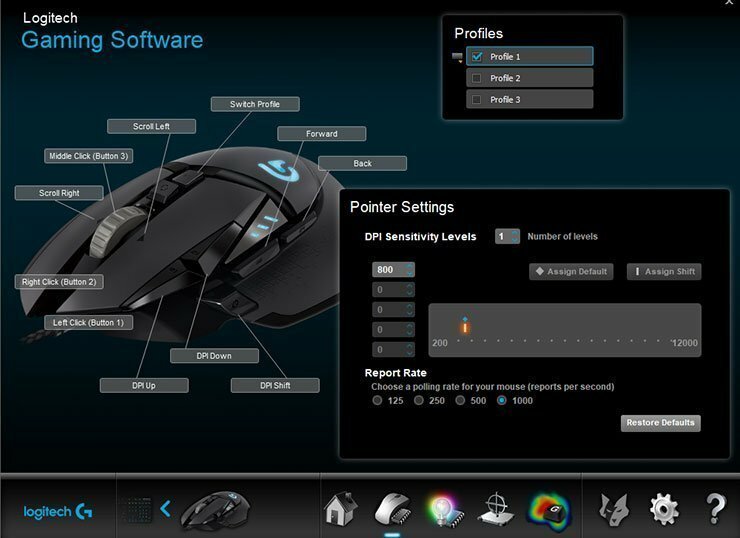 Want to know about the most used terms for a gaming mouse, i.e., mouse DPI and polling rate? Don’t worry we have got it all covered for you in this article as we will discuss the mouse DPI and polling rate, and how it affects the gaming of a gamer. If you are a typical PC user, you would have heard about the terms DPI and polling rate of the mouse. Well, it doesn’t concern a normal person much because his or her only purpose is to operate PC like usual. But DPI and polling rate have a significant impact when it comes to gaming. Gamers have to consider the polling rate and DPI of the gaming mouse they use because it directly affects the type of game they play. Eiter way, we are here to discuss the DPI and polling rate and how they impact on your gaming. Most of the gaming mice come up with different values of DPI and polling rate, and many gamers don’t know that what it is about. So, let’s take a look at these specifications. Do you remember when there were trackball mice? And how inaccurate it was, thats because it used mechanical rollers to understand what position it had. However, today we modern optical mice that use a totally different technology. Optical gaming mice work on LED light and a camera also known as CMOS sensor. As you move the mouse on the surface, the light shines, and the camera takes thousands of pictures in each second. The mouse then utilizes these images and converts them into the direction in which you are moving it. The mouse then sends its movement data to the computer, where it is processed. Therefore is Optical mice much more responsive and accurate. Another type of mice is laser mice which have got a similar working function, and it only differs in the light. Instead of using an LED light, the laser mouse uses an infrared light which is invisible to human eye. Laser mouse can track tiny details easily, and it is able to work on reflective surfaces easily unlike the optical mouse. DPI stands for “Dots Per Inch.” DPI is a measurement of the sensitivity of a mouse. The higher is the range of DPI; the more can cursor move on the screen when you are moving the mouse. A gaming mouse usually comes with a high DPI range for detecting small movements easily. DPI is technically called CPI (Counts Per Inch), the number of counts, or virtual pixels that the mouse sensor will be able to display and register on a surface. If you switch the DPI settings to the highest your mouse goes, it can result in tracking of minimal movements. Now, this setting is highly personal as it’s up to you what you feel comfortable playing with. A gaming mouse with higher DPI settings can provide you with fast movements to make you move quick, or low DPI to make small, precise movements. This could also depend on what type of game you are playing, but if you mainly are playing a first-person shooter or battle royale games. It’s better to stick with one DPI setting and build up your muscle memory to make precise and even movements every time. Low DPI settings are suitable for a gamer who isn’t playing a fast-paced game. When you play any other regular game with zero involvement of very fast movements, lower DPI settings may be ideal for you because in this way the mouse is not traveling so far on tiny movements and in this way allows you to play the game with consistent, stable aim. A lot of people think that DPI is similar to that of mouse sensitivity which is entirely wrong. DPI is the capability of your hardware whereas the mouse’s sensitivity settings are just a thing related to software. For example, if you don’t have a gaming mouse which has got a very low DPI and you have increased its sensitivity, it won’t be able to track small targets efficiently. The operating system only compensates to the information it gets from the mice, resulting in movements that are not so smooth. A high DPI gaming mouse can easily be paired with a low sensitivity setting in both games and the OS. So that you won’t face the crosshair or cursor flying across the screen without you reacting. Higher DPI gaming mice working capability also depends upon the monitor resolution. If you are playing a game on low-resolution settings like on a laptop screen, then you don’t need a high DPI mouse for it. But if you have got a 4K resolution monitor and you are playing a game in full HD graphics, a high DPI mouse will provide you a smoother movement all across the screen while you enjoy the game. A polling rate is defined as “how often the mouse reports its position to the computer.” The polling rate of the mouse is measured in Hertz(Hz) which is basically a unit of frequency. Well, mice with different polling rates have various meanings. If a mouse has got a 1000Hz polling rate, it reports its position to the computer 1000 times every second. Similarly, if a mouse has got a 500Hz polling rate, it means that the mouse is reporting its position to the computer in every 2 milliseconds. A higher polling rate has a significant impact while you are gaming. A mouse with a high value of polling rate is able to decrease the lag which more probably occurs when you move your mouse and when the movements show up on the screen. On the other hand, a mouse with high polling rate will also use more CPU resources. Having a polling rate of 500hz or more won’t probably be noticeable by the end user, and if you are using a 1000hz gaming mouse, you definitely shouldn’t look any further. That is also what most gaming mice are released with. A gaming mouse which supports a high polling rate usually comes with its specific software. Where you can set your own polling rate, you can set the polling rate according to your requirements easily. Some of the gaming mice also come with a fast-switch DPI button on the mouse itself, where you can set two different DPI modes and quickly switch for different situations in a game. A mouse with a higher polling rate is also able to decrease the lag whenever you move the mouse towards the primary target of the screen. Now if you are playing a game, a mouse with higher polling rate will reduce any kind of lag in the cursor’s movement allowing you to enjoy a smoother gameplay. DPI and polling rates are a subject of considerable debate. A lot of people think that they enhance the gaming to some extent, but many mouse manufacturer just uses hugely high DPI counts for market purposes. As many don’t know what DPI means they indirectly think having 12.000 DPI is something they need to perform better in game. If you have a look at professional players, they usually tend to have relatively low DPI and high polling rate. It’s hard to perform consistently if your crosshair is flying all over the screen, especially i FPS games. However, in a Battle Royale-themed games it might be better to slightly increase the DPI to easier turn around to get a better feel for the surroundings and enemies. For example, as we have talked above, higher DPI reacts to tiny movements. What matters the most in ideal DPI settings is the type of game you are playing, the screen resolution and how you use the mouse. A higher polling rate is useful for many gamers as it tends to decrease the lag between the movement of mouse and movement on the screen. But a gaming mouse with 500Hz polling rate vs. 1000Hz isn’t a deal breaker. On the other hand, a higher polling rate will also consume more CPU resources which will put an extra pressure on the CPU. So, the thing is, an excess of everything is bad. Higher DPI, higher sensitivity settings, higher resolution and higher polling rate can impact the gaming skills negatively. But they are irrelevant as most settings are highly individual. Higher DPI and high polling rate may be useful for some gamers, but generally, it’s not for everyone. You probably will lower down the DPI settings in different games even after buying a gaming mouse with a hefty price point. Same is the case with the polling rate. So, even if you spend a lot on a gaming mouse having a crazy amount of DPI and polling rate, it won’t be that much useful. Your priority should be to buy a gaming mouse with good comfort, size, advanced features, RGB customizable and in a reasonable price range. DPI and polling rate should not bother you a lot, and if you go after higher DPI and polling rate only, you will end up regretting your decision. 60Hz vs 144Hz Gaming Monitor Comparison – Is it Worth the Upgrade? TV vs Monitor for Gaming – Are TVs as Good as a Gaming Monitors?